The madness of the 2017 NCAA Final Four has arrived! Our sister company, Connor Sports, is the Official Floor of the NCAA Men's and Women's Final Four. For the last 20 years, they have been making the courts used by the champions of the NCAA tournament. 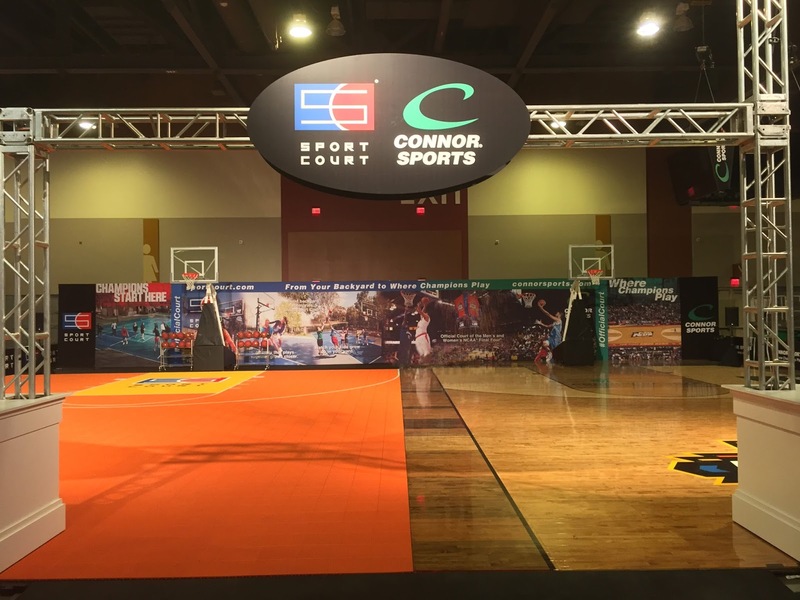 With courts for 67 games that total about 134 hours of play time, March Madness calls for the highest quality courts for these champion quality athletes. No other manufacturer can compete with the technology and quality of Connor Sports, and as their sister company, we can bring that championship quality to your home. Check out this video showing what it takes to make the Final Four court! You can bring home the Official Replica Court of the Final Four! March Madness has come down to the Final Four and you can keep the game going by bringing home the Sport Court Official Replica Court! This court gives families an opportunity to practice and play at home, on a surface that is built with the same technology and quality that Connor Sports, Sport Court's sister company, uses in the official court of the Final Four. The NCAA Final Four replica court from Sport Court includes the Sport Court playing surface with custom graphics and our adjustable hoops. You have the option to upgrade your court components to meet your family's sports needs.